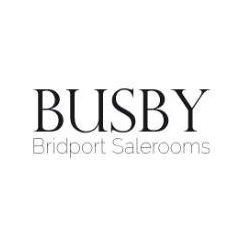 Busby is a new independent auction house offering a great depth of experience from those involved. It is located at the Bridport Salerooms in West Dorset which are housed in The Old Hemp Store near the Victorian suburb of North Mills. The building dates from the nineteenth century where much of it was indeed used as a hemp store in connection with Bridport’s thriving rope industry of that period. Although the rope and net industry still exists, it is a shadow of its former self and now the town is more synonymous with the arts and local produce and holds a number of literary, film and food festivals throughout the year. We are a regulated business subject to the professional standards of the Royal Institute of Chartered Surveyors (RICS). We do not operate outside our areas of expertise and will not try to, preferring to point you in the right direction if we cannot help.